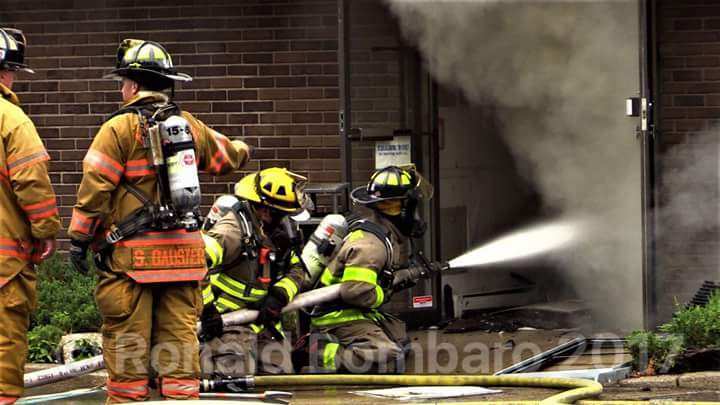 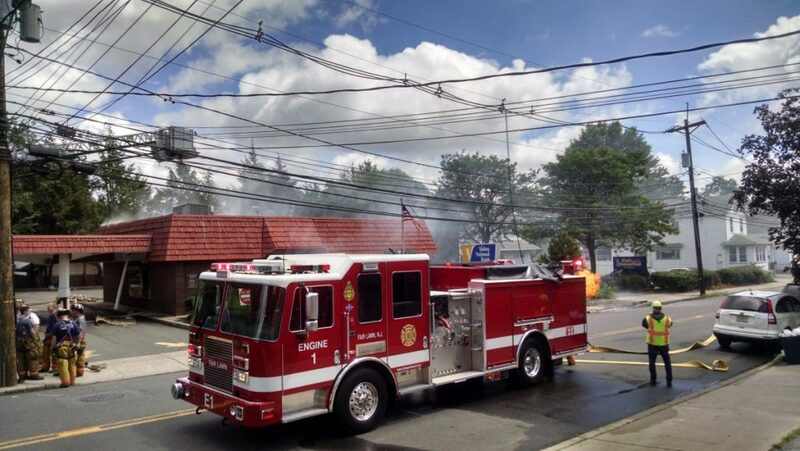 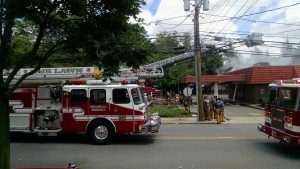 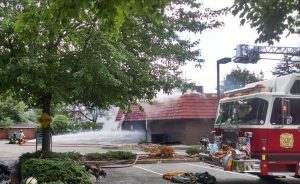 On Friday, July 7th the Hawthorne FD was dispatched for mutual aid assistance for a working fire at 139 Lincoln Avenue, Fair Lawn, Valley National Bank branch. 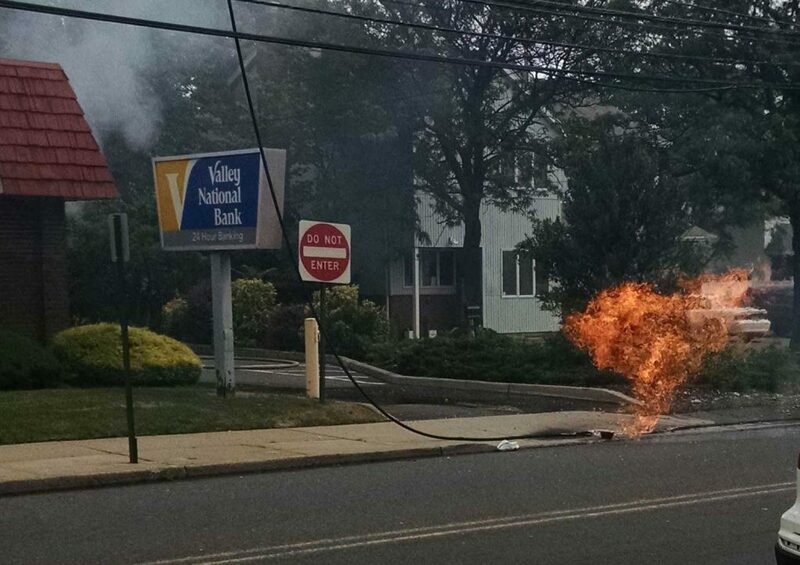 A high-voltage wire fell on a gas box at the street and ruptured the main gas line and continued into the basement of the near by Bank. 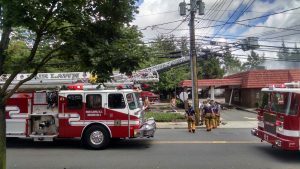 Members from Hawthorne Engine Company 4 and Company 3, Fair Lawn, Elmwood Park, Glen Rock, Saddle Brook and Wyckoff were put to work operating hose lines to control the fire as PSE&G crews worked for over 7 hours to cap the leak. 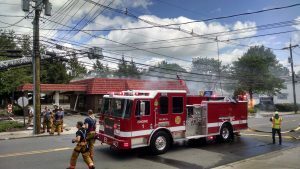 Police evacuated local residences and businesses due to the extreme hazard. The fire was finally knock down in the late evening some 10 hours after the initial call came in.